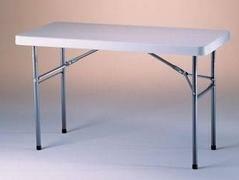 Table Top: 48ft (long) x 30in (wide) Standing Height: 30". These tables will seat 6. These are also good for a DJ, cake or gift table.